Installed mods must be activated through the main menu. 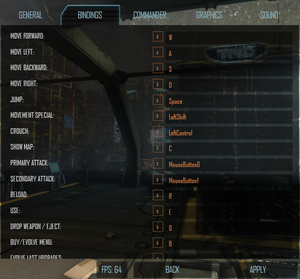 Natural Selection 2 supports Steam Workshop, allowing for easy installation, updating and sharing of modifications. Be aware of reports that certain menu and UI mods may cause problems with the game. If encountering issues, the most likely culprit will be conflicts with installed mods. Multi-monitor setup with multi-monitor HUD mod. 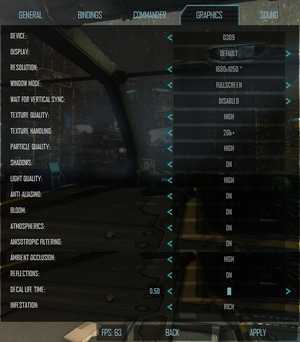 Multi-monitor HUD mod can be used to centre the HUD. UI elements will be too small. The level of anisotropic filtering is unknown. It seems to be 4x. Support may be added in a future update. 24 Requires an internet connection for Steam authentication. A full guide on running a dedicated server can be found on the Community Wiki. Open the console (~) and use connect followed by the IP and port. If you are playing the game on high graphical settings with certain hardware setups, the game might stutter as it loads a new texture for the first time in a given match. Because of how the game is coded, this will appear as random high latency spikes in the ingame match ping overview (in spite of being related to graphical settings and not to latency). These spikes can typically be rectified by turning down the graphics via the options menu in the game. Setting the texture quality to Medium or below will typically resolve the issue. If not, try to toggle the multicore settings. Navigate to your library in Steam. Click "Properties". Go to the "Local Files" tab. Click the "Verify Integrity of Game Cache" button. On Steam, Right click Natural Selection 2 and select "Delete Local Game Content". This will delete the game, and afterwards you need to redownload and install the game. Note this will delete any mods you may currently have. Uninstall Natural Selection 2 from Steam. Create an empty file called FavoriteServers.json. In the Catalyst Control Center, go to the AA Tab under 3D settings. If "Use Application settings" is unchecked, this will cause the textures in the game to appear pitch black. Checking this field again will resolve the issue. In the taskbar, right click on the Gigabyte OC Guru and click Close. You may need to click show hidden icons to see the icon. Other overlays such as mumble or Fraps may apparently cause the same issue, so try disabling those as well. Unsubscribed mods may still appear in the mods list and have to be manually deleted. Load the game and disable any mods which are going to be removed. Go to %APPDATA%\Natural Selection 2\ and delete the Workshop folder. 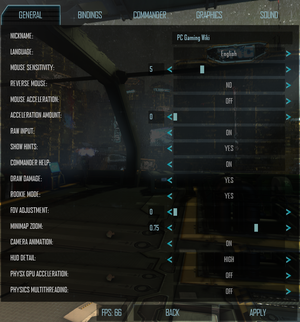 fps Toggles the FPS counter on the HUD. i_rawinput true Sets raw mouse input to true. setsensitivity x Set mouse sensitivity, substitute x with a desired value. maxfps 60 Limits FPS to chosen parameter. r_bloom false Disables bloom effect. r_atmospherics false Disables atmospheric lighting. r_shadows false Disables shadow rendering. r_flash false Disables flash GUI. r_aa true Enables FXAA (Fast Approximate Anti-Aliasing). r_stats Displays render scene data/stats/FPS. server_sound false Turns off server sounds. retry Connects to previously-played server if disconnected. j1 Join Marines (Ready Room only). j2 Join Aliens (Ready Room only). 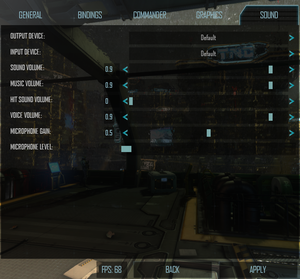 A full list of console commands is available at the official NS2 wiki. This page was last edited on 1 April 2019, at 06:21.